Colleen from Scrapping Granny here to share a layered card that could be used for Valentine's Day or just for the love of your life. 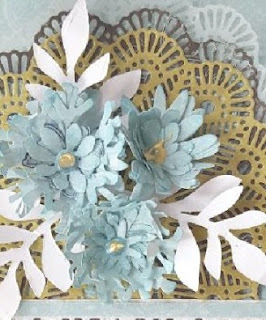 Just picked out my papers and started by using the Butterflies and Flowers doily die by Jeanine's to cut out 3 different doilies from my 3 different papers. 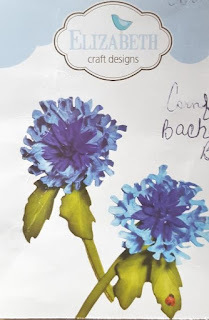 I used Cornflower Bachelor Button die by Elizabeth Craft Design to cut out the flowers. I put Buttercup liquid pearls in the center of each flower. I used the Striped Swirl Edger die by Sue Wilson to cut out the white border. Works great as a birthday card or sympathy card as well. Beautiful card! Love all the dimension! GORGEOUS! I too love all the dimension and your color choice is so pretty! Thanks for inspiration! Absolutely gorgeous! The dimension is amazing! Wow! This is so outstanding! What lovely layering! Fab design Teamie! Beautiful! 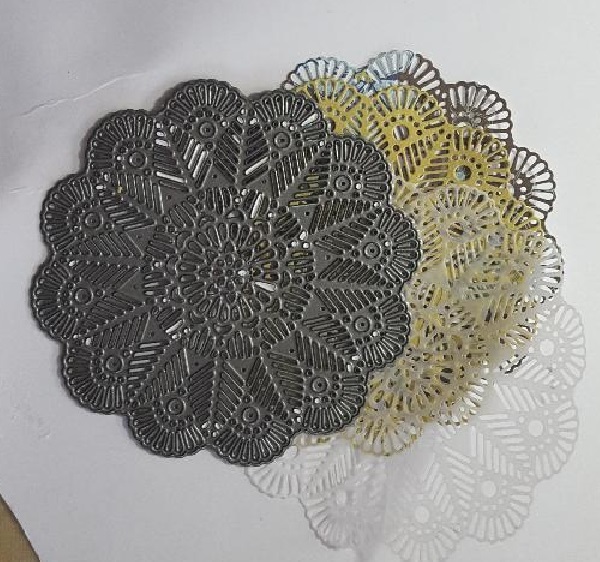 Those doilies are really pretty! Beautiful! Love that pretty doily die. Great way of using various layers to give dimension to your card.